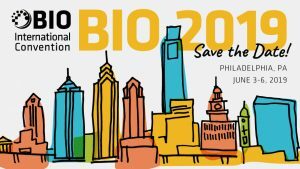 DelSiTech will be attending the Biotechnology Innovation Organisation (BIO) international convention in Philadelphia, PA, June 3-6, 2019. BIO represents a unique opportunity for healthcare, agriculture, industrial and environmental biotechnology industry innovation leaders to share insights and together develop the foundations of future solutions through the BIO One-on-One partnering facility. With 16,000 industry delegates from over 7,000 companies and a track record of 47,000 partnering meetings, BIO has cemented itself as one of the most significant industry conventions to date, promoting effective partner search and business development. Meet DelSiTech in Philadelphia, either through the One-on-One partnering system or through informal networking. We look forward to exploring how our DelSiTech Silica Matrix technology can facilitate your drug delivery needs. We hope to see you there!